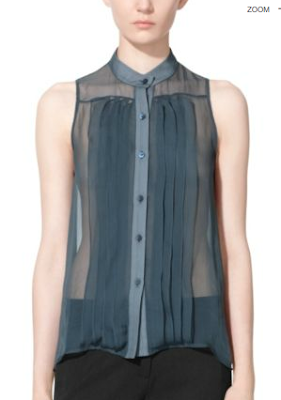 This sheer sleeveless blouse is very Mad Men feeling to me - love the front pintuck details! Love the color too, a perfect blend of teal and grey that just screams fall. Buy at Theory for $225. reminds me of vera wang's fall 2011 collection, love the pleats!